Every exhibitor whether an experienced or a newbie wants to make a big impression at every exhibition. The first and foremost thing that the visitors notice about your exhibition space is your stall. No matter how wide your exhibition space is; whether will it have a 2 side open or 3 sides open exhibition stall, you need to communicate the message of your brand through your exhibition stall. When you are thinking about the exhibition stall design for your next show, it is crucial to understand the basic intricacies that go into curating these stall designs. From the shapes to structures to cultures, everything is derived from a basic idea that enables the exhibition stall designers to craft the striking stalls for you. So, here are few tips that will help you make your exhibition stall better and garner maximum attention. Exhibition industry is always on a continuous journey of change and transformation. It is evolving at a rapid pace, giving an exhibitor ample scope of development. Exhibition stalls are growing at an impressive rate. About three years ago, integrating a tablet into your exhibition stand design was unheard. Similarly, around 5 years back, installing an LCD screen was also a distinct feature. To get an overview of the trends in the exhibition industry, you can check the websites that discuss technological advances in this field. Another excellent way is to visit a showroom where you get to know what experts in the industry have to say. These insights and inspirations give you a complete platter of creative ideas to work with. Photos must be of high resolution or vector, especially for your logo. Always select native and clean artwork for projects; it’s a great element to be included in your exhibition stall design. Spend the extra money to get good quality stock photography. It’s not that expensive and can make a huge difference in your booth. This is not a billboard where people will be walking up and even touching your graphics during your exhibition in Dubai. With regards to eye-grabbing exhibition stall design, keep your content word count to a base and your brand’s key messages vast. This attracts the eye of the exhibition visitors to comprehend the messaging of your brand efficiently without being excessively grave, making it impossible to stop and read. Also, consider where your content will be put on your exhibition stall design. This demands content ranging from pictures to text. Be sure that the most imperative data must be at the top to draw attention even from far off and to ensure it catches individual’s eyesight! Do pick one or two fonts, maximum. Too many fonts create a business that confuses your viewer. Avoid italics, all caps and centered text in your exhibition stall design for your next tradeshow in Dubai. Backdrop illumination, also known as light boxes is another good idea. Utilized on an extensive scale in signage, and outdoor displays and in exhibition stands, backlighting is picking up significance to make a large brand impression. The improvement of LED lighting has given momentum to the whole idea of lightbox usage in the exhibition stall design. Additionally, light boxes permit you to incorporate alluring backdrop illumination arrangements inside a financial plan to your exhibition stalls. Use materials that are easy to repair, maintain or refurbish. Also, consider the weight of the materials used in the booth. While steel may give you the industrial look you want, it will cost you a fortune in shipping and drayage. Work with your designer to select materials that accomplish your design goals without breaking the bank. Design for durability. Use materials that are easy to repair. Do you have to include your contact details? Presumably not, but rather it relies on how you will utilize this criterion in your exhibition stall design. It’s extremely uncommon that people will settle on a choice to record any contact details from exhibition stalls in public places. Hence, you need to give away things like business cards, flyers, brochures, etc. for the visitors to contact you at a later stage. This will become imperative once the prospective client gets converted into sales leads and want to make a purchase a little later after the show gets ended. If you have an experience in exhibiting, then the first step is to review your past performances at various exhibitions. The objective of these reviews is simply to get an overview of what mistakes you committed before and not to repeat the same. Analyze your previous performance and see what all can be reused like the previous stall is a reusable exhibition stall design for further exhibitions too. One of the most crucial concerns is to analyze what others in your industry are up to. Whether you have exhibited before or not, it’s imperative that you are aware of your competitor’s do’s as well as don’ts. You can research on the exhibitors who have won awards for their exhibition stall designs. Few exhibition stall designers have done some commendable work with exhibition stall designs too. Get a list of those exhibitions stand exhibitors and designers to have a blueprint of your next exhibition stall in Dubai. Also, look at some prominent design websites to avail ongoing market trends. Don’t get so deep into the design that you lose sight of the products and services you are trying to sell. Don’t place product displays or important visuals down low. Don’t include trade sensitive information in your exhibit graphics. Don’t assume that your first design concept will be your final design. The design process is an organic one and what you first envision may get changed over time. Don’t forget to integrate your exhibit design with your other marketing and promotional materials for a lasting impact. Don’t underestimate the necessity of lighting as a design tool. Well-placed lighting can set a mood that attracts and counterbalances the harsh exhibit hall fluorescents. Don’t try to say too much. Effective tradeshow design uses minimal words. Let photos, illustrations, color, and light do most of the talking for you. How To Use Social Media Marketing For Your Next Exhibition In Dubai? Exhibitions are the perfect opportunity to build long-lasting relationships with a wider number of different people and businesses, although many are not aware of the impact that social media can have on these connections. Creating and developing a website is important for any business. Along with having a website, you need to expand your online outreach to social media platforms. Social networking sites like Facebook and Twitter are necessary for maintaining a competitive edge. Companies that do not have active social media accounts risk missing out on numerous marketing opportunities. Leveraging Social Media successfully allows endless marketing opportunities during your exhibition tradeshows in Dubai. By implementing an innovative & well – planned social media strategy well in advance, marketers can use these tools to massively raise awareness and reach to generate leads, drive website traffic and boost attendees visits for your next exhibition tradeshow in Dubai. Beginning a hashtag campaign on Twitter is an excellent way to get exhibitors, guests and others interested in the exhibition to talk about it. A hashtag is simply a keyword phrase, spelled out without spaces, with a pound sign (#) in front of it. For Example: #Expo2017 and #TradeShowOfTheYear are both hashtags. You may incorporate these hashtags anywhere in your social media posts: in the beginning, anywhere in between or at the end. These hashtags tie public conversations from all different users into a single stream, which you can find by searching for a hashtag, clicking on one, or using a third-party monitoring tool like HubSpot’s Social Inbox. Note that if you want your post having a hashtag to appear in anyone’s search, the post must be public. Find out what the tradeshow’s official hashtags are for the show, and start following it 2-4 weeks prior to the show to learn trends and connect with key players. Use the hashtag and promote how you will be at the show on Twitter. Consider creating a hashtag specific to your company or campaign. You must start following the tradeshow’s Facebook page and Twitter page. Post questions regarding the trade show, the special events at the show and other relevant information like where to stay in Dubai or best places to eat in town that will help you get more engagement and exposure. On your Facebook brand page, start promoting your participation in upcoming tradeshow in Dubai. Mention your booth stall number in the exhibition hall. Pin a post to the top of your Twitter page promoting your next exhibition tradeshow in Dubai with special offers or contests. Also, do not forget to “follow” fans or attendees of the trade show exhibit’s page. Also, like and share the show’s posts on your timeline as well as groups you have joined. LinkedIn has a fantastic “groups” option, so getting everyone into a particular exhibition tradeshow in Dubai is easy. You may join groups and engage in “conversations” or start one yourself in trade groups related to the show. If you have blog posts, share them & also thoughts about the industry or market to establish yourself as an authority in your industry. Use LinkedIn “share an update…” option to show your upcoming contest, special events leading up to the tradeshow. Connect with people going to the show. Tell them where to find you at the show. Start building a relationship with them. Don’t forget to look for similar business interests/connection that you have in common with fellow attendees. That’s a powerful way to genuinely build a business relationship with a prospect or deepen one with an existing customer. LinkedIn, for example, is the professional social network. So if you are a B2B company attending a trade show or exhibition, this is an excellent platform for you to tell your online audience about what you are up to. LinkedIn updates must always be professional, engaging and relevant to your business. However, personal updates, like smiley staff pictures, do work well on LinkedIn, these should be posted alongside more expert content such as industry news and reports. On the other hand, Twitter feeds move much faster. You must utilize this social platform to focus on real-time event updates as well as to connect with other attendees at the exhibition tradeshow in Dubai. There are a lot of ways to market your exhibition tradeshow in Dubai, one of the most interesting and effective ways to promote it with a teaser video. Mostly new products or services are introduced at trade shows. Create a teaser video on YouTube to share prior to the show. A landing page is an excellent mode to direct your booth visitors towards information that pertains to them and have measurable web statistics as well. Your landing page could offer free material, such as an ebook or whitepaper, relating to the messaging you decided for your exhibition tradeshow in Dubai. You can share your landing page link on your social media link; this will help send trade show attendees on your website. This will also provide you with an opportunity to gather information about them. Google hangout enables you to broadcast from your exhibition (hopefully the exhibition hall has Wifi or your company has planned for it) for people who are not there to see what’s going on and what you are presenting. Google+ Circle feature gives you the chance to organize your Google contacts based on where you met them or what type of person they are: peer, partner, customer, prospect etc. Upload the Hangout video to YouTube. You can also post updates with pictures, it will allow your feed to keep moving with images, thoughts, and ideas about what’s happening at the exhibition tradeshow in Dubai. Organize a contest related to your product or service to collect leads for potential customers before or during the show. Giveaways or Contests can combine social media with visiting the booth in person. For instance: You could advertise a contest in your booth, have entries coming via Facebook page, and then have the winners come back to the booth to get their prize. You can pique the interest of your followers and improve engagement. Create quick little testimonial videos from customers. If you have a current customer visiting your booth, that’s a great opportunity to capture a quick 30-second video testimonial but that should be having a compelling effect. Upload a video of the exhibition booth at your booth stall. Show off the number of people visiting the booth. Don’t ever forget to link your company’s website within the description of the video as you upload it to YouTube. And make sure your description describes what’s happening in the video. Don’t just upload videos with no information. You must post about your exhibition tradeshow in Dubai before you go, during the event and after it has ended. Before an event: Practice social media to announce the fact you will be attending, research the official event hashtag and connect with other attendees. During an event: Use the tips above to post updates live from the event. If somebody engages with you on social media during the event, always respond promptly! After the event: Consider using Twitter polls to gather feedback on the event which you can then publish as a separate piece of content about, or write your own post-show review. Exhibitions serve as an influential platform for industry experts, professionals and companies to come together, share information and build long lasting business relationships. In established economies, exhibitions are a vital part of product marketing, along with direct selling, advertising, direct mail and the internet. Exhibitions provide an unparalleled and ideal opportunity to showcase products and services to a highly targeted audience. Choosing the exhibition centre is of the utmost importance in order to maximize the business benefits. Here is a list of best exhibition centres worldwide. The Dubai International Convention & Exhibition Centre (DICEC), also known as Dubai World Trade Center is the most modern, purpose – built exhibition centre of Middle Centre. DWTC is a multifaceted convention venue that offers an adaptable and accommodating space of 60,000 sq meters. Having been designed and equipped with the latest technological equipment and state-of-the-art facilities, the DICEC is perfectly capable enough to host any kind of exhibition. The exhibition center is conveniently located and is tailor made to fit the requirements of the visitors as well as exhibitors. Dubai convention & exhibition center has over 1 million square feet of venue space and consists of its 8 DICEC halls, 4 Sheikh Saeed Halls, Sheikh Rashid Hall, Sheikh Maktoum Hall, Za’abeel Hall, Al Zaheyah Ballroom, Al Multaqua Ballroom, 3 Majlis, press room and Bubble Lounge. Pragati Maidan, situated at Mathura Road, is a vast exhibition centre of Delhi. With an exhibit area of 150 acres, it serves as an important attraction of Delhi. It is a huge complex housing well-paved roads, lawns, gardens and eating outlets. Having 16 halls in total, Pragati Maidan is known to host about 70 national as well as international conventions and exhibitions throughout the year. One of the most sought out events organized here is The Indian International Trade Fair (IITF), which also happens to be the largest event with an approximate footfall of about 10,000 exhibitors and around 30,00,000 visitors every year. It covers an area of about 72,000 sqm comprising various halls and open grounds. Pragati Maidan houses 16 halls spread across the area of 61,290 sqm with an open area of 10,000 sqm. This place has four key entrances, a conference room, air conditioned auditorium, a press lounge and business information centre. A number of restaurants, post office and banks are also a part of this huge complex. The Messe Frankfurt Exhibition Center is situated in the heart of downtown Frankfurt. It is a bustling event site that hosts over 100 showcase events each year. Covering 578,000 square metres,The Messe Frankfurt complex is home to two Congress Centers, ten exhibition halls, and a convention space, making it one of the largest exhibition destinations in the world. Since the Messe Frankfurt Exhibition Center and Trade Fair Grounds opened, the popular event destination has played host to an array of celebrated world events, including the Frankfurt Motor Show, the Frankfurt Book Fair, the ACHEMA engineering congress, and the exclusive international Automotive Engineering Show exhibition. The Changi Exhibition Centre (CEC) is a multi-dimensional facility built on a sprawling 30 hectare site at Changi Coast Road. It’s a large exhibition center capable of meeting all the requirements of national as well as international conventions, large scale public and trade exhibitions as well as specialized events. The 40,000 sqm exhibition hall boasts an impressive outdoor display area of 100,000 sqm & is fully air conditioned. The center is set against the backdrop of a beautiful seafront. Changi Exhibition Centre offers enormous versatility to organize events requiring both outdoor exhibits & activities. With its unique location along the coast, this site is ideal for events relating to the automotive, aviation, sporting, marine as well as lifestyle industries. The New Zealand International Convention Centre (NZICC), located in the heart of Auckland City, makes it one of the best exhibition centres in the world. Designed collaboratively alongside event industry experts, the NZICC is a vertically stacked, flexible and modern building, creating a hub of innovation and positive exchange integrated into the fabric of a vibrant city. Uniquely positioned to make each exhibition a memorable experience, the NZICC will offer an integrated atrium and public laneway encouraging networking and enhancing the delegate experience within a city full of excitement and sophistication, with hotel rooms, dining precincts, shopping and entertainment all within 10 minutes of walking distance. Configurable spaces presenting opportunities for a wide range of events with intimate meeting spaces on all levels, pre-function capacity for 2,700 people, convention capacity for 3,150 and one-off events for 4,000. The NZICC is capable of hosting conferences of around 3, 000 people and one – off events of around 4, 000 people with 24 meeting rooms. The New York Expo Centre boasts an amazing 10-acre venue space located directly on the East River Waterfront. The New York Expo Centre is a perfect place to host any large scale event, festival or concert featuring 90,000 sq feet interior space with a 45,000 sq foot main event space,. New York Expo Center offers unique branding and promoting opportunities as well as an easily recognizable landmark for your guests. This unique venue is perfect for festivals with its dual indoor/outdoor staging options, huge waterfront lawn as well as an interior space that’s longer than a football field. New York Expo Centre is also fully bordered and contains two entrances/exits with security booths. The Brisbane Convention and Exhibition Centre (BCEC) is a purpose – built convention centre and event venue in the heart of South Bank. Brisbane exhibition & convention centre has a pillar-less floor space of 30,000 square metre, making it the largest such space in the southern hemisphere, allowing it to host thousands of large exhibitions, some which are held each year. The world-class and award-winning facility plays host to thousands of concerts, conventions, exhibitions and tradeshows, weddings and private functions every year. The centre is also home to Olio Café & Bar and Merivales Café Bar & Restaurant. Having the Brisbane Convention & Exhibition Centre by your side gives you 21 years of unmatched experience in hosting successful conferences. Sokolniki Exhibition and Convention Centre is one of the Moscow’s venues to host some conferences & exhibitions. It is situated in East Administrative District directly in Sokolniki Park for Leisure and Recreation. Sokolniki Exhibition and Convention Centre is one of the oldest exhibition sites & the first exhibition center to start exhibition industry in Russia. Sokolniki Exhibition and Convention Centre is located not so far from the centre of Moscow, near the highways and Sokolniki metro station. This provides convenient access for visitors. Our complex consists of 10 pavilions that meet the highest international standards, with a total area of 27,300 square metres. Besides that, there are 17 000 square meters of additional open area for the installation of mobile halls and organizing outdoor events. Sokolniki Exhibition and Convention Centre offers rental of exhibition space for conferences, exhibitions, corporate events and so on. Well designed modern infrastructure, high service quality and convenient location in the heart of Sokolniki Park distinguishes our exhibition centre, which is one of the most popular Moscow venues for events. Coex Convention & Exhibition Centre in Seoul is Korea’s venue of choice. Established in 1979, Coex provides more than 20 years of experience and know-how in the local MICE industry. Coex Convention & Exhibition Centre is located in the heart of Seoul’s business district, Gangnam & hosts a yearly average of 200 exhibitions and over 2,000 separate meetings and events. Coex consists of 4 main exhibition halls and 54 dividable meeting rooms. Asia’s largest shopping mall, the city’s only airport terminal, three 5-star hotels, two top theaters, three multinational office skyscrapers are included in on-site accommodations. All your needs – be they shopping, business, entertainment or culture – are met right under one roof of Coex infrastructure. ICE is one of the biggest convention and exhibition centre of Indonesia. Indonesia convention & exhibition centre is located at Bumi Serpong Damai, Tangerang District of the greater Jakarta region, Indonesia. ICE is designed as the biggest and most spacious convention and exhibition centre in Indonesia, spanned over a total area of 220.000 square meters. ICE offers 50,000 m2 outdoor exhibition space, 10 exhibition halls of 50,000 m2, a 4,000 m2 convention hall, 12.000 m2 convenient pre-function lobby, and 33 Meeting rooms for small or large meetings. Indonesia Convention Exhibition is well known as the largest concert hall & biggest wedding hall in Indonesia. The parking capacity of ICE is up to 5,000 cars. The exhibition halls are equipped with world class services to accommodate all kinds of weddings, birthdays, graduations, sporting events, exhibitions, concerts, consumer shows, trade shows, seminars, conferences, corporate events, etc. The venue offers flexible spaces and full array of services, adjustable to every event organizers’ requirements. How to make Shell Scheme Octanorm Booth Stall attractive for your next exhibition in Dubai? Shell Scheme Booths are an integral part of any Exhibition. A shell scheme octanorm booth stall is a modular system mostly used by exhibition organizers. They are bought as a package, typically including carpet, lighting, grid ceiling, electrics & a fascia name board available in varied sizes. Mostly, Dubai event management companies use shell scheme Octanorm booth stalls for the client’s exhibition event. They are a great option for companies with less money at hand, first-time exhibitors, or smaller events like conferences. However it’s not just smaller companies who opt shell scheme octanorm booth stall, but even big companies occupy them too. For example : Barclaycard had opted small shell scheme octanorm booth stall at the BIBA Exhibition at the Excel Center in May 2013 and that was a successful show. With the growing popularity of the modular designs in Dubai, use the given tips to stand out shell scheme octanorm booth stall for your next exhibition in Dubai. Look at them! Using strong graphics is one of the most effective ways to transform a shell scheme stand and to achieve standout from exhibiting neighbors. Strong graphics basically refers to clear, uncluttered messaging and images. Seamless graphics can make a small shell scheme stand look bigger in area because they present a decluttered image to the eye and as an added bonus they make your company look highly professional. The event’s official stand contractor or a specialist exhibition graphics company can advise and install for you. Each panel is assembled in a frame and unless you specify, you will be supplied with whatever the standard colored panels are for the show usually white or grey. If you wish to see diversity and elegance together in your octanorm boothstand, go for maxima stands. Maxima stands are VIP-class in modular systems with aesthetic lines, elegant appearance, unique design. “MAXIMA” is standard of premium class. In the exhibition industry, Maxima Stand Design is one of the new trends introduced by the German Octanorm prefabricated stand system. The basic element of the system used for a variable exhibition stand construction is a square – shaped supporting profile. Maxima Stand designs add uniqueness to your brand as they provide memorability in fair environment. Maxima is the outstanding ideal system for the reason that it is the system to reflect best special wood modules. Maxima Stand Designs create simple, yet sophisticated exhibition booth, without the need for carpentry, painting, or even tools. Furthermore, the intelligent design enables all types of accessories to be incorporated into the system. When you choose it, you take advantage of our years of experience, to create brand value for your company, by showcasing a respectable exhibition booth. This is one of the most prominent & beneficial options that make Shell Scheme Octanorm Booth Stall attractive for your next exhibition in Dubai. It easily gets hooked to the back wall & thereby minimizes the space utilization for smaller stalls. These banners are hassle free to be handled, they come in a roll form that you can hook to the top of the back wall panes & remove it once exhibition gets over without any efforts. That’s again a great backdrop element to be used for your Shell Scheme Octanorm Booth Stall having high quality print and a handsome structure for visibility. Exhibition Stand Design Companies in Dubai use it as it is customized to the requirement with built- in shelves, brochure – holder etc. The Magnetic pop-up display systems add high impact to any presentation or exhibition stand. Pop Up displays provide maximum portability. These are available in Straight or Curved configurations. Magnetic Popups are unique portable units and easily compacted in a trolley bag, air bag etc. Changing the color of your shell scheme carpet is another simple but effective way to achieve standout for your Shell Scheme Octanorm Booth Stall. And the best part is it doesn’t cost a great deal to do this. Exhibition stand contractors in Dubai can offer you a range of standard carpet colors and you can order in advance directly from the Exhibitor Manual. Shell scheme Octanorm booth stall is a kit and stands are built from individual panels (each of which is usually just under 1sqm in area). Each panel is assembled in a frame & unless you specify, you will be supplied with whatever the standard colored panels are for the show – usually grey or white. You can change the color of the panels if you organize this in advance. You can also just change the panels that edge the aisle or, all of the panels on one side of your stand or those along the back wall depending on where you plan to place your graphics, digital screens or exhibits. You can also change the color of your stand’s fascia and name board to match. This is another standard product that can be changed in a shell scheme Octanorm booth stall for your next exhibition in Dubai and you don’t need to hire from the official show contractor. Simplicity and Accessibility are the chief advantages of modular stands. With minimal cost and time, you can bring your own furniture if you wish, however using a specialist contractor means that you will not have to worry about delivery and collection. Promo Events helps you select the necessary furniture and other related services suiting your exhibiting requirements. Our specialized Modular stands are built by professional exhibition constructors of Octanorm and Maxima systems, which are made in Germany. Folding Catalogue stand is again a very effective medium for brochures/ leaflet display. They simply look great as a part of the stall. These Stands are easily carried in a bag and are set in minutes for last minute setups. Exclusive range of Catalogue Stands can be used for displaying various kinds of books, CD’s, cards etc. These can be constructed with 3 aluminum framework and acrylic shelves for easy transportation. There are various counters & podiums available in the market that can be used at reception for product displays & again they provide a great visibility to the brand. Every podium & counter is portable and easy to set up. One can book display podiums with or without graphics along with a full line of accessories (specific models). You can also find custom counters & podiums along with traditional stationary lecterns for other venues. Fabrication is another way to make your shell scheme octanorm booth stall attractive. You can cover up your shell scheme walls with branding or elements to make the stall look unique. Even if they are one time setup, still they are highly effective medium for exposure in the exhibitions. A shell scheme Octanorm booth stall made out of aluminum provides amazing potential to change the size, look and feel of the booth stand depending on which show you are attending. Even if you are dealing with a global program, this flexible approach can be used to substantially reduce costs. In the field of exhibition building systems, Promo Events offers flexible & robust aluminum systems of the highest quality. The range comprises a variety of accessories that can be used to efficiently & effectively realize walls as well as, rooms, floors, lighting frames and double-deck stands. 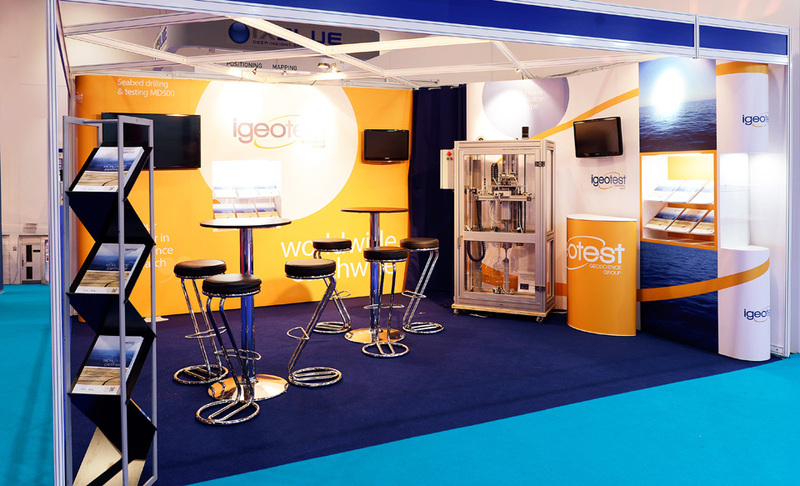 Suppose you are planning to take part in an exhibition with a national stand, or group of companies, then you need the stands designed according to a modular or hybrid scheme. You can incorporate various accessories like: Countertops, stands, cabinets, shelves, rack, light boxes, signs, windows and billboards nicely into any of your shell scheme Octanorm booth stall. These accessories effectively support your demand for a creative, unique, and memorable design, with dynamic curvature, to help you successfully market your company. Promo Events Octanorm Modular Designs promise high quality flexible exhibition & trade shows solutions. This concept enables tailor made designs and builds almost anything, be it exhibitor stands or full Pavilions. Octanorm stand design system has the flexibility to construct exhibition stands in any configuration with the minimum of 2m by 1m. In a standard Booth, we provide a complete package: One rectangular or round table l Two chairs l Two spotlight 100/80 w l One power socket 13 amp and fascia name. Our Octanorm and Maxima systems ensure high quality and flexible options for your next expo. We help you design and build almost anything, from exhibitor booths to art galleries and even beyond. Having an engagement audience in your exhibition in Dubai is important.Exhibiting at trade shows is one of the commendable ways in which a business can look for new customers & expand their business. Right from visibility to establishing credibility, trade show comes with many benefits for businesses.The trade show helps to engage with new audience, reach out to existing clientele and leave a mark of their own among competitors. Over the past few years, businesses have started conducting their exhibitions in Dubai. Dubai is one of the famous cities of United Arab Emirates having different people from different countries. Many exhibition events are held in Dubai for different purposes. Most of the exhibitions are held at Dubai World Trade Center. Various exhibition companies in Dubai like Promo Events help outsiders to organize their exhibition event in the best way. Businesses can make most of their next exhibition in Dubai by focusing on two key things: Attracting visitors to the booth stand & interacting with them. If you get it right you can expect new connections, increased conversions and plenty of new business leads. Here are few smart tips that you must follow while organizing your next exhibition in Dubai to improve audience engagement along with good return on investment. You can expect a built- in audience for targeted messages, promotions & other day of happenings that can be extremely valuable in touting sponsor activations by encouraging sponsors, attendees and speakers to download your event app ahead of time. Have a sponsor hosting a workshop for your next exhibition in Dubai? Remind app users about running time to take away those giveaways? Make sure these key attendees know time is ticking and more importantly, know where to go to take advantage of the offer and engage with your sponsor. Install in-built features in app in order to allow sponsors to easily distribute freebies and attract attendees. While planning trade show contests and games in your next exhibition in Dubai, choose the right engaging activity for you and your brand. Below, are some of the most popular, engaging and fun contest and game ideas that best exhibition design companies in Dubai mostly suggest for your next exhibition in Dubai? Prize wheels are always considered as a fun way to attract people to your booth stands. A large & colorful prize wheel attracts attention at a bustling trade show and can help create a game show atmosphere. It is important for participants to have a good time, but more important is that they remember your brand with a memorable giveaway after the show is over. Make sure you include one grand prize, such as a cash reward, gift card to a local top – rated restaurant whenever you set up your prize wheel. From the barroom to the livingroom, everyone enjoys a good game of trivia. Make your trivia questions specific to your particular business or industry, so that visitors can learn about your company while having fun. Design your trivia game to follow the format of popular trivia gameshows. Include questions about your brand, industry and convention to educate contestants on your product, service or capabilities. Have prizes for both correct and incorrect answers so that everyone is a winner. For a classic contest, fill a clear container with marbles, pennies, jellybeans or something that relates to your company or industry. Instruct attendees for guessing number of items available in the jar. Attendees can submit their estimates on the back of their business cards by giving their contact information & becoming a lead for your sales team to follow up with post-show. Advise your staffers to utilize the counting game as an icebreaker when they approach passersby. Use marbles, candies or coins having your company logo printed on them. It reinforces your brand messaging. Suppose you are looking for in-booth activities that will have a supersized impact on the show floor, jumbo games must be at the top of the list. Be it a giant chess board, Malpractice (giant operation board) or a huge Jenga set, attendees will flock to your booth to try their hand at your larger than life games. Before you pack & head to your event, make sure each & every piece you need for your game is accounted for. One needs to familiarize himself with the rules of game before the show to eliminate confusion and ambiguous judgments calls. Interact with spectators & encourage them to “cheer on” participants. With the rise in smartphones, it seems that everyone is a photographer, which is why photo contests have become popular promotional tactics. Photo contest is the best way to gain exposure on social media for your next exhibition in Dubai by encouraging guests to upload their contest entries to their social media profiles. Create a hashtag for contest participants to tag to their social media posts. At the end of the day, declare a winning photo & invite the lucky attendee to collect their prize. Add a photo booth to your exhibit & make sure to provide plenty of props. From bold to beautiful, over the years, the consumers have probably seen it all. However, the effort must be to present yourself to your customers in such a way that you can successfully stand out & be appealing. This is where a un-booth can help you. Convert your mundane booth into a place where attendees would love to hang out & relax. They are more likely to engage with you if they can feel comfortable in their surroundings rather than feel the constant stretch of formality. Moreover, make sure your logo and the brand name are bright & clearly visible, so that you can leave a long lasting impression about your existence in their mind. You should not be difficult for them to recall once they walk out of the show. During your next exhibition in Dubai, it is important for you to look at what you are offering from the perspective of your customer. You must select that exhibition design company in Dubai who puts your brand into your attendees’ shoes and think what you would need to invariably be attracted to your own booth. Also consider sending third-party vendor recommendations tied to booth decor, AV integration, design add ons & more. Be sure to choose those exhibition stand contractors in Dubai with whom you or your sponsors have worked with in the past who have specific experience creating compelling booth/exhibit build outs. If current partners don’t have time to focus on their event presence, these pros can take charge and deliver a finished product that gets results. Whether you are showcasing a product, a skill or a service, exhibition tradeshow is the perfect platform to present your business at its best. Exhibition tradeshows are unique in their own kind; they offer a place to capture qualified clients or leads face-to-face. Today, Dubai has retained its crown as the most popular destination for trade shows and exhibitions in the Middle East. Exhibition tradeshow in Dubai creates qualified exposure and sales that you might have to work harder to get via other channels. Before registering yourself as a participant in your next exhibition tradeshow in Dubai, you need to be clear why do you want to exhibit in a particular show? Define the purpose of your exhibition and what do you hope to achieve? Who will be the attendees of the show? An exhibition can have many purposes; it can be depicted as a survey show, a showcase of new talent or a cross-cultural exchange. Define this as clearly as possible in order to get best out of your exhibition tradeshow in Dubai. Once you set your exhibiting goals, another step while planning an exhibition tradeshow in Dubai is that you need to decide about your exhibiting budget. How your budget should be spent? How many people will you need to man the booth? What kind of technology needs to be incorporated? Do you need private meeting space? Have a clear understanding of what you are aiming to accomplish with your booth, so that you can effectively organize your exhibition costs. Research over upcoming exhibition tradeshows in Dubai; carefully select where to host your exhibition matching your exhibiting objectives. The exhibiting space that you select will not only determine how many guests can attend, but also how many other exhibitors can provide content for your event. You might also willing to assume what impression the venue reinforces – is it worth hosting in a grand venue to create a more glamorous feel? Or would a less opulent venue be appropriate? In Dubai, most of the exhibitions are held in Dubai World Trade center. Some of the upcoming exhibitions to be held in Dubai World Trade Center are given; you may check what suits your product, service or industry and may begin to book your space now. While exhibiting at DWTC, you can be rest assured that experience, premium facilities & technical capabilities provide you the exposure to make your investment more than worthwhile. After reserving your space that best suits your sales or product placement, read the contract carefully signed by you with the exhibition authority. Understand terms & conditions of participating, payment schedule, how space is assigned. While planning exhibition tradeshow in Dubai, consult about floor plans, traffic patterns, services, and audience makeup. Discuss a theme upon which the presentation of the objects and stories can be based. Broad themes could be change, place, influences, product functions, gender, time, & socio-political or environmental issues. Once you have researched the theme, you will have countless ideas of what the theme is. Make sure to document ideas that interest you about the theme and later choose which one is right for your concept/idea. Thinking about the information of the theme that you have found, consider the ideas of emotion and feeling, exploration and experimentation, communication and relationships as starting points of the processes you will undergo when making your artwork. Promo Events award winning technical team of 3D and graphic designers, CAD technicians and marketing professionals offer ace architectural and graphic solutions enabling you to deliver aesthetically impressive exhibition booths to suit your unique requirements and budget. This is a trend that the trade shows and exhibition industry takes seriously as the technology required to print large scale 3D structures from a multitude of materials is becoming more and more accessible and more and more affordable. In many exhibition tradeshows in Dubai, you can notice textured surfaces in their exhibition booth stand to increase visual interest. Textured surfaces draw attention; add depth & richness to exhibit’s look and feel. Reusable materials have become new exhibition design trend in Dubai. Using lower energy consuming components for stands is recommendable for your next exhibition tradeshow in Dubai. Gamification entails using game design elements in a non-game context & applying these to your event. Dubai Exhibition companies use gamification tactically to encourage actions such as early registration & networking. Using i-beacon can make your stand a hot spot, with people receiving exclusive discounts and content. Once you have created a buzz and attracted a significant amount of attention, you’ll be able to document this for your own social media promotion or use at future fixtures. The internal décor always have a big impact on how your guests perceive the event. 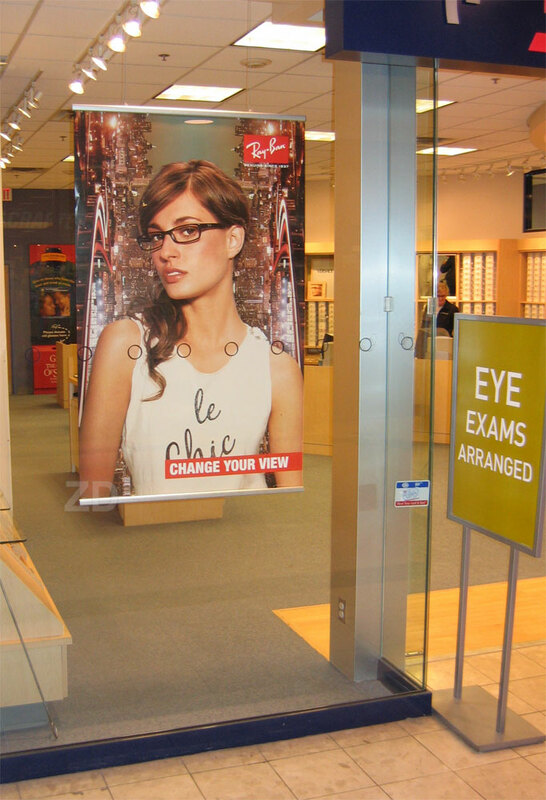 Furniture, branded images, banners and screens are a good way to create an impressive visual experience. Consider flamboyant décor to stand out from your competitors such as inflatables, branded flags, anything with high visual impact, such as an exciting theme like 70s Funk, Undersea, Jungle or Hades. The Technology you use throughout the exhibition tradeshow in Dubai is also very important. If you want to connect on a more immersive level with your target audience, go for Augmented Reality. AR definitely helps you improve your exhibition tradeshow in Dubai; you can hide content behind marker images that can be included in your exhibition stand graphics. It’s a totally fresh and unique way for the visitors to interact with your brand. One of the latest virtual reality gadgets is Oculus Rift; it attracts the attention of visitors and creates a great talking point. The Rift is a cutting-edge virtual reality headset allowing audiences to completely immerse themselves in the virtual, three-dimensional world. Memorable activities and powerful brand experiences ensure that audience from all over the exhibition will pay you a visit and improve your ROI. Bar stools are best for exhibitions, enabling those sitting to easily meet the eye-line of those standing up. Low stools are particularly suited to areas where demonstrations are taking place, low stools are most ideal at exhibitions. This is ideally suited to expos; the funky chairs make a big impression! You may also choose a retro flourish or a futuristic look. They are the anchor of a strong trade show booth design. It’s the center of operations for your whole display, where event attendees gravitate towards to find more information or make a purchase. You can use many of kiosks that are available with customization options to perfectly promote your brand. Portable tables don’t just add dimension to your space but also provide ample room for displaying merchandise. Some styles, especially cocktail tables promote conversation i.e. perfect for connecting with event attendees in a more meaningful way. All of our exhibit tables are portable for easy transportation. Pair it with a stretch table cover or a fabric for a polished look. You can even get a custom printed tablecloth to create a stellar, on-brand booth. A dedicated lounge area creates a welcoming environment where people can sit down and relax. So, definitely you can choose from standard plastic folding chairs to director chairs to pub table sets and many more. They bring merchandise up to eye level. Unlike the displays for retail stores, display cases are designed for easy setup and disassembly. Portable display cabinets pack up quickly into the accompanying shipping case, just like the rest of the trade show equipment and fixtures. Big events require logistics management. This includes knowing who is turning up and when, managing exhibition space, organizing the timings and the general flow of the day or might be series of days. It’s imperative to have a team dedicated to the smooth running of exhibition tradeshow in Dubai. Start interviewing candidates; select those whom you think are capable of bringing enough leads out of exhibition. Your team should be able to understand & speak Dubai Local languages. They should be friendly, approachable and energetic towards audience. While organizing your next exhibition tradeshow in Dubai, select catering menu for expatriates press events, after-show party etc. You need to allocate a good proportion of your budget to getting the word out about the exhibition. It’s important to bear in mind the difference in approach when marketing to the attendees and the exhibitors. The attendees need to be convinced that your exhibition tradeshow in Dubai will have something for them, and the exhibitors will need to be convinced that the attendees will want to buy from them. Getting these two messages to connect is vital to the success of the entire event. Depending on the type of your exhibition tradeshow in Dubai, you might be willing to include an industry leader to present a seminar. Case studies & industry leaders insights make great talking points, and this not only provides a more rounded experience for the attendees, but will also give you more of an edge while marketing the event. Confirm freight arrival and check that all contractors are on schedule. Also, check hotel reservations for staff, as well as confirming meeting room bookings and catering orders. Get to know about the service areas. Meet electrician & confirm date and time for electrical installation. Confirm telecoms arrangements – phone / internet connection points. When preparing for the upcoming exhibition tradeshow in Dubai, you surely want that your booth looks and feels par excellence and is simply world class. Get a team who can help you set the booth stand carefully. You may also go for Trade show display rentals; they are great booth options for first time exhibitors or their experienced counterparts. The rental exhibits offer savings over traditional custom exhibits. Exhibitors who choose to rent enjoy savings on labor costs, shipping, drayage, and booth storage fees. Just a day before the show, hold pre-show briefing and final training for staff. Be positive in all aspects of staff communications at this time. This final meet will set the mood of the staff for the whole exhibition tradeshow in Dubai. Before leaving for the show, carry important phone/cell numbers, traveler’s checks, credit cards, copies of all orders and checks for services paid in advance, phone numbers and addresses of all vendors, engineering certificate for exhibit, shipping manifest, return shipping labels, and additional badge forms. Work closely with venue staff during your exhibition tradeshow in Dubai. Supervise work of contractors and suppliers, such as exhibition designers and caterers. Observe competitors, see what works for them. Conduct “mystery shopping” if you can. Give staff time to visit the other exhibitors but watch out for poaching! Have daily meetings with staff and unwind sessions at the end of each day. Plan Timetables. Take photographs. Supervise health and safety issues. Handle enquiries from exhibitors, speakers, sponsors and visitors. Exhibition tradeshows in Dubai don’t always end with the end of exhibition tenure, instead they are almost always on- only the venue and participants may chance. For this reason, trade show booth dismantling is required after each show. Dismantling and careful handling of equipment, materials and products during the show has to be done considering the specs of the exhibition center. Having an own lead collection system or an iPad to manually enter the details is the best way to improve your exhibition tradeshow in Dubai. The quicker and easier the process is, the better it will be for both your staff and your visitor. Make sure that your lead collection system enables you to add extra comments for every visitor. This additional information is very valuable.